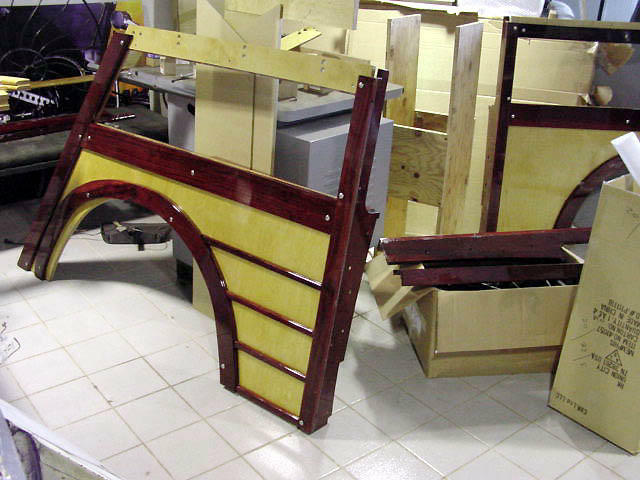 miniWOODIE was an idea that I had when I was a sophomore in design college. I sketched a VW Beetle with a woodie body, on a small piece of vellum on my drawing board one day. 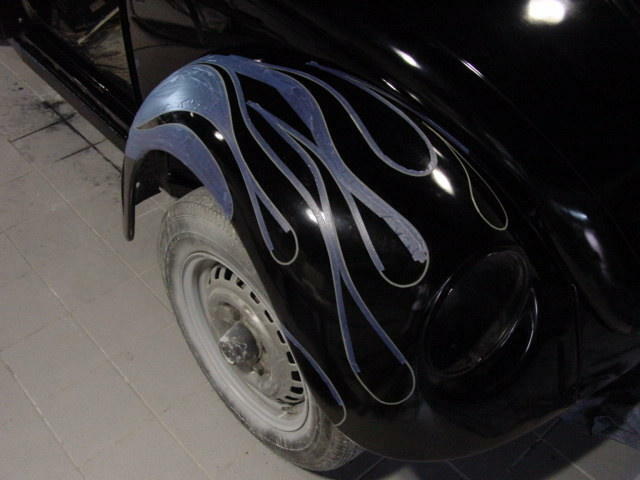 I reasoned that, since we had exactly ONE car that was being manufactured (at that time--1967) with individual fenders and hood, and separate rear fenders, just like a car from the 1930s and 1940s, before "envelope" bodies became the norm, the VW Beetle was a perfect candidate for a handbuilt wooden body, like those done immediately pre- and post- WWII. 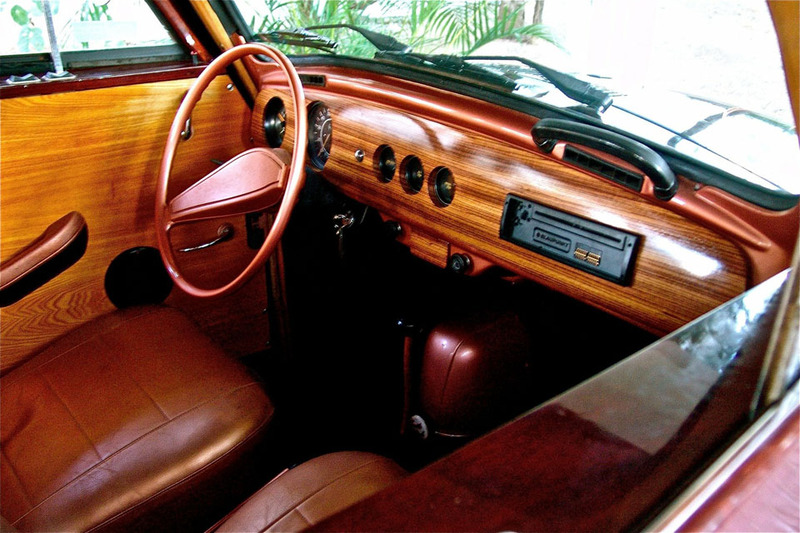 In 1975 I put together some financing, equipped a nice, 5000-square-foot woodshop, and built the prototype car, designing and engineering on the fly. I built a proof prototype in 3 months during the summer of that year, and for the next two years, built and sold finished vehicle conversions and kits of this vehicle conversion. The enthusiasm of the public for these was pretty striking, but despite the tremendous coverage we received in books, magazines, and on television, the idea never generated the sales we hoped for, and the company dissolved in late 1977. The car shown on the left is the Chicago International Auto Show car. 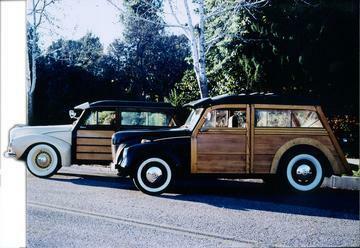 It's the last miniWOODIE built, and it's been with me for 43 years now. 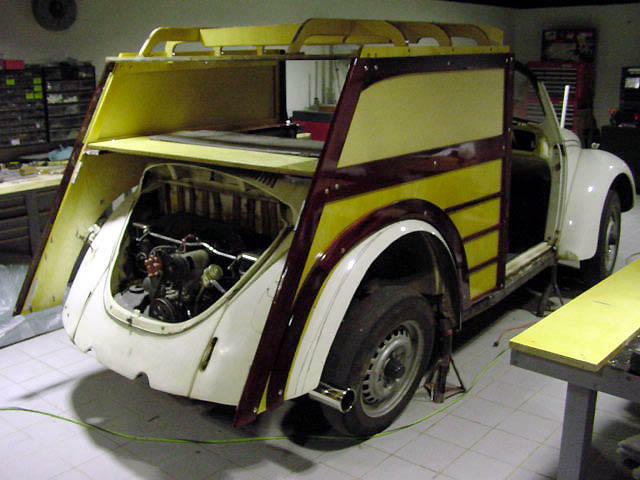 It's been restored three times and had three different chassis and three engines. 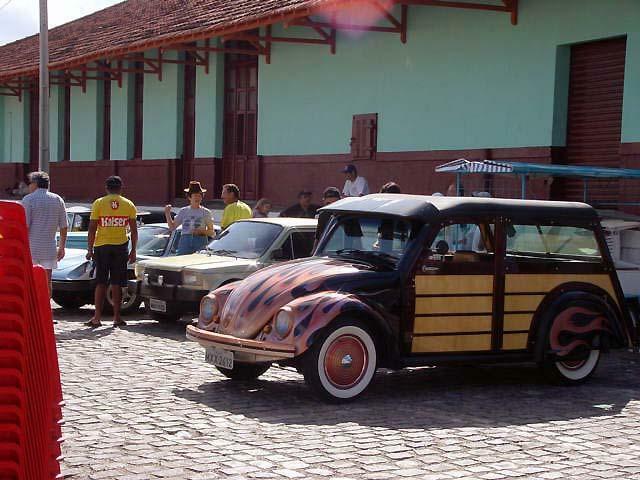 Still going strong, it resides in storage in Brazil , where I drive it whenever I visit. 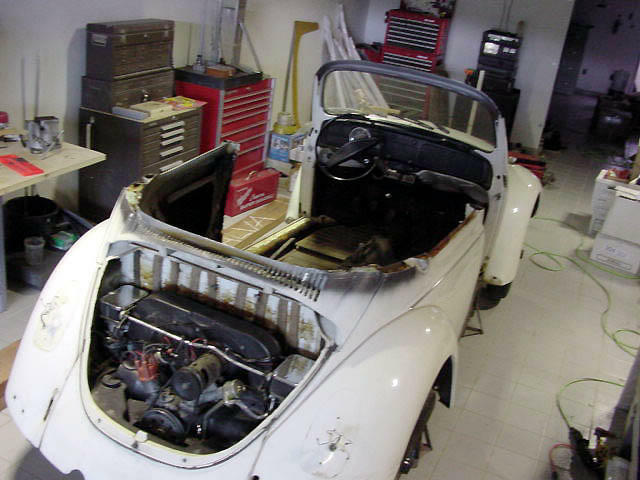 THIRD REBUILD BEGINS ON BRAZILIAN "FUSCA"